Over 100 health and fitness professionals will be on hand at the Inspired Health and Fitness Expo of San Luis Obispo! There, you'll get to run the Superhero 5K Run, have your kids participate in the Ninja Agility Course, try free, healthy samples provided by local food and drink businesses and so much more! 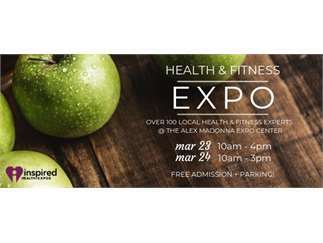 Free health screenings and educational seminars will be occurring throughout the event at the Alex Madonna Expo Center. Visit http://inspiredexpos.com for more information!